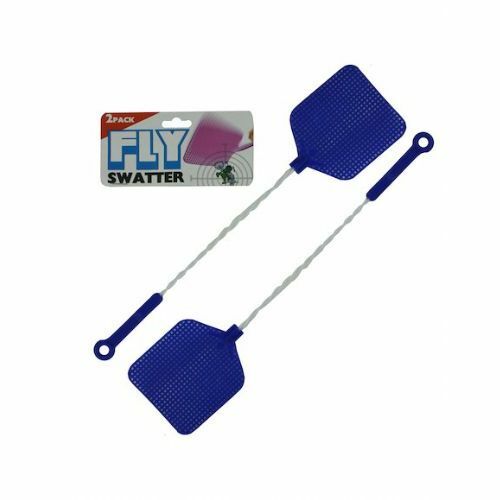 Stop flies in their tracks with this 2-piece Fly Swatters Set featuring two fly swatters with plastic mesh heads and twisted wire handles for an easy grip. Each piece measures approximately 16 long with 4.75 x 4.125 swatter heads. Comes in assorted colors. Comes packaged in a poly bag with a header card.